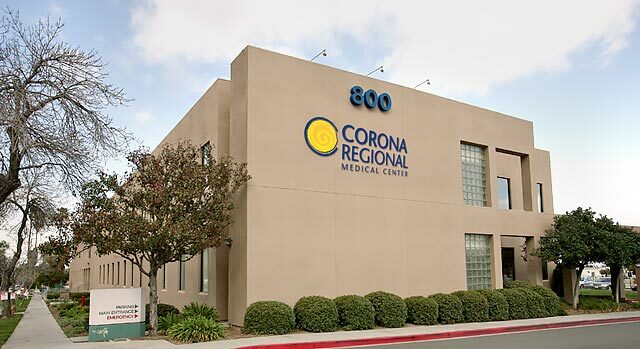 The tradition of caring that culminated in the establishment of Corona Regional Medical Center began in 1933, with the founding of Corona Community Hospital. Since that time the hospital has changed to meet the needs of the rapidly growing community. Corona Community Hospital merged with Circle City Medical Center in 1992 and the resulting entity became Corona Regional Medical Center. The hospital is now a 238-bed community hospital network comprised of a 160-bed acute care hospital and a 78-bed rehabilitation campus. It is certified by The Joint Commission, employs more than 1,000 trained healthcare workers and has a medical staff of approximately 300 physicians representing more than 40 specialties. What Makes Corona Regional Medical Center Special? 71 percent of our professional, clinical and ancillary staff live in the greater Corona/Norco/Eastvale area and choose to work here. The majority of physicians on staff are board certified. Over 70 percent of them have been in practice in the Western Inland Empire area for more than 10 years. 49 percent of our loyal staff, both clinical and non-clinical, have worked at the hospital for more than five years. Many have worked here for 10, 15 and 20 years, speaking volumes about their dedication and their pride in this hospital. Most staff members have degrees and are certified in their specialties; several have advanced clinical degrees and licenses. We work to promote a sense of family by treating patients, families, guests, physicians and vendors with respect and compassion. In the constantly changing world of healthcare, our mission remains steadfast: we strive to be the leading community healthcare provider, serving our communities as the healthcare partner of choice for patients, staff and physicians. Learn more about the comprehensive care available at Corona Regional Medical Center. Vision — Dedicated to the health, healing, wellness and safety of those we serve with compassion and integrity.